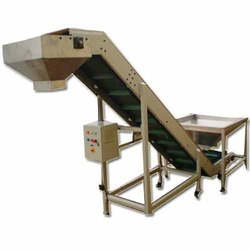 Leading Manufacturer of cleated belt conveyors and cleated conveyors from Hyderabad. 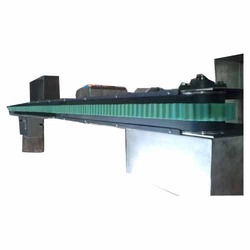 We bring forth a wide-spread array of Cleated Belt Conveyors that is reckoned amongst the clients for its durability and reliability. We manufacture our range using finest quality materials and components that are sourced from trusted vendors of the market. Our range is highly demanded by the clients for its high strength, durability and scratch resistance. Our valued customers can avail our products at market leading rates via hassle free payment modes. We are a trusted name in manufacturing an array of Cleated Conveyors employed in modern material handling systems. These are very strong and durable in nature. Their cost effective prices and qualitative features have earned a number of clients to its credit. Looking for Cleated Belt Conveyors ?